Are you an Islanders fan? Maybe you're an NHL fan? 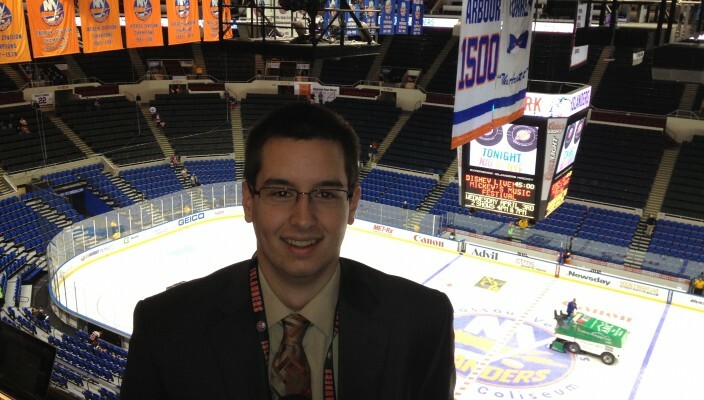 Well...one of our students will calling the New York Islanders home game at Yankee Stadium in the 2014 NHL Stadium Series. Rob Joyce, a senior, will be doing color commentary with legendary play-by-play announcer Chris King Wednesday night LIVE from Yankee Stadium. The broadcast will be heard on 880 WCBS, a powerful station that can be heard throughout the Northeast at night (depending on weather conditions) at 7:00 PM.